TORONTO - More than one million Canadians living abroad are now eligible to cast ballots in the next federal election after a court struck down a law stripping them of their voting rights. While mass murderers have the right to vote, long-term expats "who care deeply about Canada" do not have the right, Ontario Superior Court Justice Michael Penny said in his decision. Penny found part of the Canada Elections Act, which bars expatriates who have lived abroad for more than five years from voting, is unconstitutional. "The (government) essentially argues that allowing non-residents to vote is unfair to resident Canadians because resident Canadians live here and are, on a day-to-day basis, subject to Canada's laws and live with the consequences of Parliament's decisions," Penny wrote. "I do not find this argument persuasive." For one thing, Penny ruled, expats may well be subject to Canadian tax and other laws. The government, the judge found, had decided some citizens are "not worthy" to vote despite their constitutional right to do so. "This is not the lawmakers' decision to make — the Charter makes this decision for us," Penny wrote. Citizenship, he noted, is a fundamental requirement for voting, not residency. The judge rejected the government's request to put his decision on hold for 12 months. 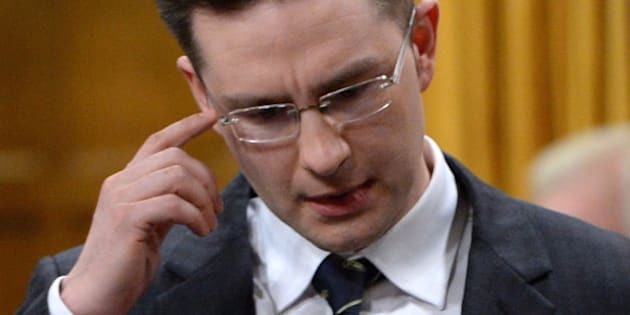 Gabrielle Renaud-Mattey, a spokesman for Pierre Poilievre, minister of state for democratic reform, said Sunday the government would review the decision before deciding on any appeal. The ruling did not affect the controversial proposed Fair Elections Act, Renaud Mattey said. Two Canadians living in the United States launched the constitutional challenge, heard in February, arguing the five-year rule was arbitrary and unreasonable. Both argued they had only left for educational and employment opportunities and still have a strong attachment to Canada and a stake in its future. One of the applicants, Montreal-born Jamie Duong, 30, of Ithaca, N.Y., said he was thrilled with Friday's ruling. "The decision is good for me, good for democracy, and good for Canadians everywhere," Duong said. The other applicant, Toronto-born Gillian Frank, 35, of Princeton, N.J., who served in the Canadian military and was a Governor-General's Award winner, said the ruling had "strengthened our country's democracy." Both said they looked forward to voting in the next election. However, the five-year clock reset for those who returned even for short visits until 2007, when Elections Canada began enforcing the requirement for expats to "resume residency" in Canada to regain their right to vote abroad if they left again. The law exempts some long-term expats — among them members of the Armed Forces and diplomats — who can vote by way of a "special" ballot. As many as 1.4 million other Canadians fall afoul of the law, experts estimate. Toronto lawyer Shaun O'Brien — of Cavalluzzo, Hayes, Shilton, McIntyre and Cornish — said she was delighted the court recognized a fundamental democratic right of the expats, who "care deeply about Canada."